All players of the Chain Game will need to own Grand Theft Auto III to be able to participate. This round of the Chain Game is being played on the PC Version of Grand Theft Auto III. All Versions of Grand Theft Auto III for PC are compatible with the Save File that is used in this Chain Game Round, which includes the CD/DVD Retail Version 1.0, the Version 1.1 Patch and the Steam Version. Twitter Page - The Chain Game Twitter Page provides regular updates on all of the latest Chain Game News, including when a new round of the game has been launched and when a new Chain Game Announcement has been posted. Forfeited Turns: Forfeited Turns do not count towards the Wait Rules and do not cancel their effect. If a player is waiting for two turns or four hours to pass before they can take another turn, this does not include the Forfeited Turn. On Mission Flag Manipulation: You are not allowed to use any form of On Mission Flag Manipulation during your Chain Game Turn. This specfically refers to purposely altering the On Mission Flag and the use of any form of Mission Duplication. The Replay Feature: You are not allowed to use the Replay Feature during an active Mission or non-stackable Side Mission during the completion of your Chain Game Turn. 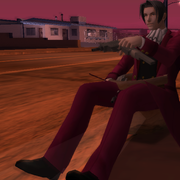 This specifically refers to both Storyline Missions given by contacts such as "Drive Misty for Me" and non-stackable Side Missions such as "Paramedic", "Patriot Playground" and "Mafia Massacre". Replay exploits have been known to instantly pass missions and cause artificial scores and times which are both against the Chain Game Rules and could be exploited as a method of "unfair play" by players wishing to become Record Holders. Outside of Missions and non-stackable Side Missions, including while searching for Hidden Packages or completing Unique Jumps, any player is free to use the Replay Feature for any purpose as long as the feature is not exploited in a way that may directly affect the Save File or any factor of Grand Theft Auto III's Completion Requirements and Percentage. GTAForums Downtime: If GTAForums is unavailable when you are ready to post your turn, it is advised where possible that you wait for the website to return and edit your post later than you had initially planned. If you are unsure that you will be around when the website returns, or the website is still unavailable when three hours have passed since calling your turn, it is recommended that you take a screenshot of the website and attempt to contact a member of Chain Game Staff on the Discord Server, Steam Group or Twitter Page to inform them of the situation and provide a Save File for them to include in your post when the website returns. You should also ensure that you stick to the turn time limit regardless of the status of GTAForums, and make your final save before three hours has passed. Once the website returns there will be a "grace period" where you will be given time to post your turn by the Chain Game Staff. Should you fail to post your turn within this time you will be considered to have failed to meet the turn time limit and your turn will be invalidated. If there is a planned period of maintenance for GTAForums, the Chain Game Staff may temporarily suspend the current Chain Game Round. During this period, no players are allowed to take a turn and must wait until a member of Chain Game Staff announces that play can continue before calling a turn. Players that witness violations of Chain Game Rules should bring them to the immediate attention of a Chain Game Staff Member. Noticing an issue early will help to prevent the loss of a great amount of progress if the issue is not noticed until much later in the game. 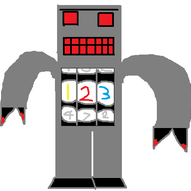 123robot - Grand Theft Auto III Chain Game Assistant Chief who makes regular contributions to the game through actively taking turns and has worked towards several of the updates and plans for the game set out by the Chain Game Staff. He also provides high quality feedback and ideas that have helped to shape the game into what it is today. 123robot's contributions to the game are greatly appreciated. Parik - Grand Theft Auto III Chain Game Player who gives regular feedback and ideas as well as having contributed to the game by producing tools that have helped immeasurably with the management of the game. These include an Archival Tool that will automatically complete a process of archiving all Chain Game Threads, and a script that generates Chain Game Statistics Tables for any round of the game. Samutz - The creator of GTASnP.com, an easy to use GTA Save File Sharing Website which is used regularly by Chain Game Players to upload the save files used in each turn of the game. GTASnP.com also includes an automatically updated Checklist and Statistical Information on each uploaded Save File. Samutz and the GTASnP.com Website have helped the Chain Game immeasurably and we are extremely grateful for this service and the years of dedication Samutz has put into running it. WildBrick142 - Grand Theft Auto III Chain Game Player who has made several contributions towards the game and has previously held the position of Chain Game Manager where he was responsible for keeping the game clean, giving regular feedback and ideas, and taking over as Temporary Chief on occasions where I have been absent. WildBrick142's contributions include helping with a version of the Chain Game Design as well as creating Chain Game Statistics for several rounds of the game. WildBrick142's contributions to the game are greatly appreciated. Oh nice, looks like I can follow up my last turn of Round 91 with the first turn of Round 92! Exciting! Watch me play LIVE here! how well did vigilante go? Put out 30 fires on Portland - Portland Firefighter complete! Killed 36 criminals on Portland - Portland Vigilante complete! Collected every Hidden Package in Shoreside Vale! Notes: Stored an NE Taxi in Portland Garage. Completed all Unique Stunt Jumps in SSV and SI. Yay, my turn again! 😛 Watch me play LIVE here! 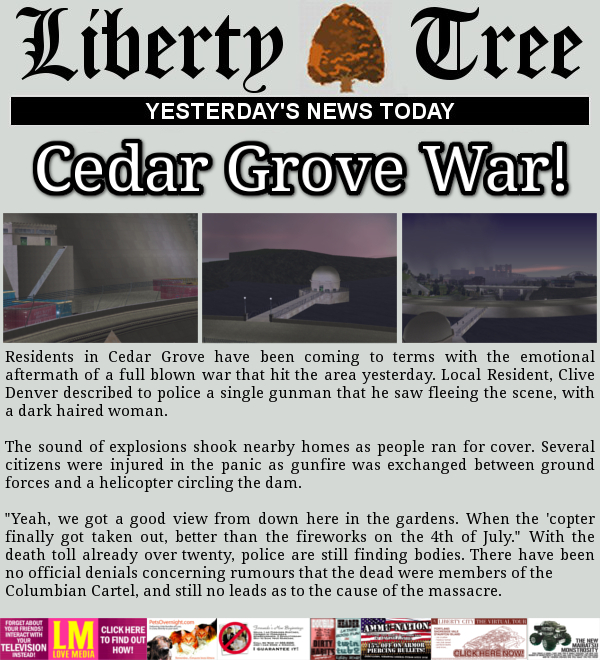 Collected the final 19 hidden packages on Liberty City! ALL HIDDEN PACKAGES COLLECTED! Completed the 'Casino Calamity' RC Car mission with 5 kills! Completed the final 8 unique stunt jumps on Liberty City! ALL UNIQUE STUNT JUMPS COMPLETED! Completed 4 rampages on Portland (Shotgun, Grenades, M16, and UZI). FINALLY delivered the Securicar to the Portland Docks Import / Export garage! It's a miracle! All cars delivered and available from the docks! Notes: Completed all remaining 2 rampages in Portland. Left some little things in SI garage . Looks like it's my turn again! 😛 Watch me play LIVE here! Notes: Mission Passed! $6,000 earned. Again, again! Watch me play LIVE here! Notes: Mission Passed! $3,000 earned. It's the perfect time for a live Chain Game turn! Hey, you know what's an even more perfecter time for a turn? 2:45 AM! I win! Watch me play LIVE here! Mission: 'RUMPO RAMPAGE' (1) , A Ride In The Park (53) , Trial By Fire. Late Edit: Fixed the GTASnP link. Notes: DP Taxi stored in Staunton. 20 fires extinguished in Staunton Island! Notes: 166 more patients rescued! That brings us to total of 400! It's been a while. I'll take a turn. Notes: Completed the remaining Vigilante, Firefighter, and rampages. Used a few speedrunning strats to increase weapon ammo (mainly Uzi and RPG). I recorded this session. YT should finish processing soon.